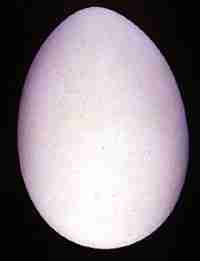 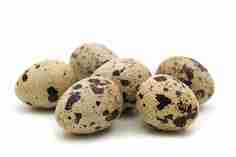 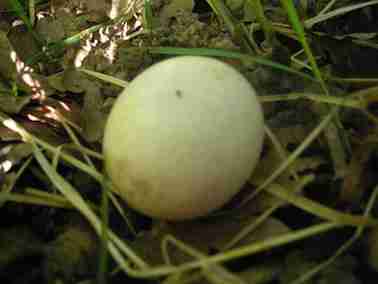 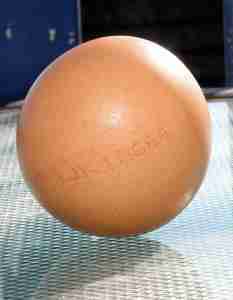 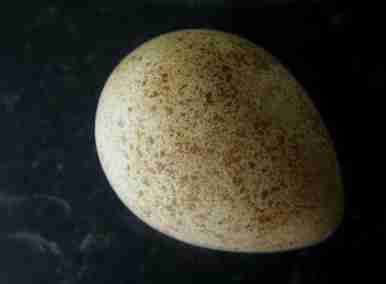 Many cave birds or nesting in dark places have white eggs. 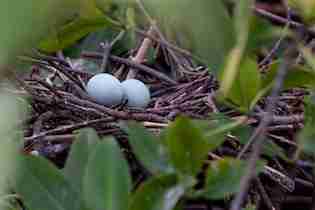 Their clear color would allow the adults to locate them more easily in the twilight. 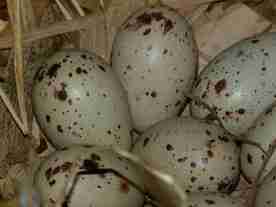 To certain species, spots are so dense that they can cover almost completely the thorough color. 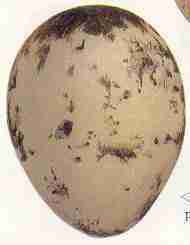 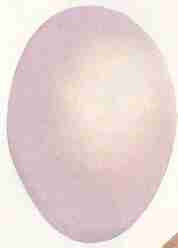 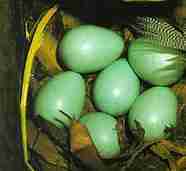 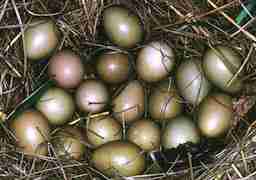 Eggs of some species are characterized by their plain color. 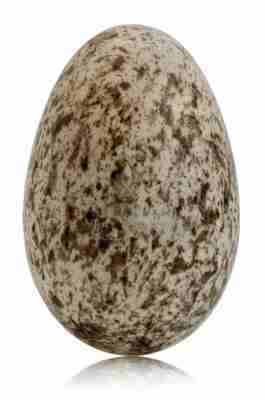 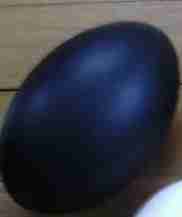 A lot of eggs have spots of varied shape (hurt, streak, spots, marblings), more or less spaced out.